Insurance companies are processing thousands of auto hail damage claims and sending many cars to salvage yards. 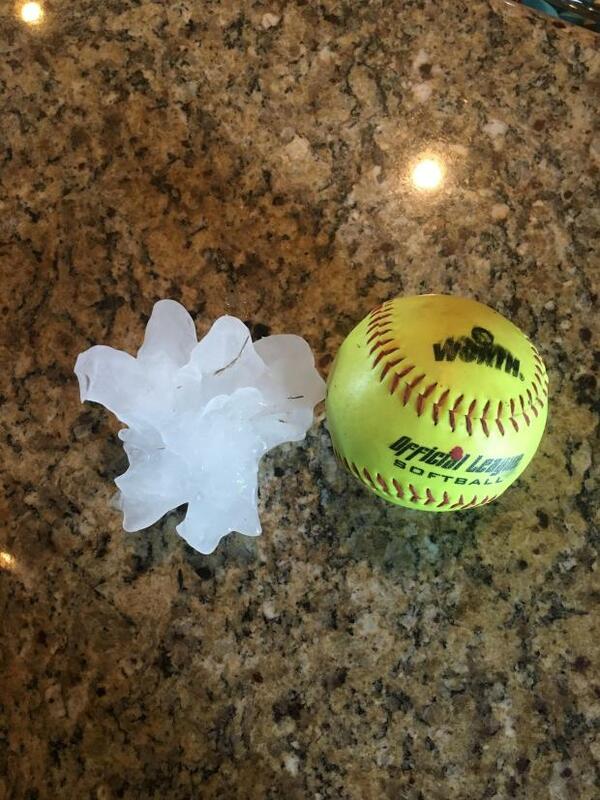 Tuesday morning, State Farm reported 21,200 claims from April hail in Denton, Collin and Rockwall counties and the San Antonio area, with more still being filed. The company has more than 70,000 auto hail claims from Texas so far this year. "Sometimes that leads to a settlement where the car is a total loss. Other times that leads to you leaving with an estimate where you can take it to a repair facility to get that damage fixed," said State Farm spokesman Chris Pilcic. At a special auto claims tent behind Clark High School in Plano, State Farm is processing around 300 auto claims a day by appointment. Policyholder Roderic Paulk said he was driving his Dodge Challenger when the hail struck April 11. "It's so loud in the car, you couldn't even hear anything but the pounding," Paulk said. That storm was just three days after he filed a claim for March hail damage. On his visit Tuesday to the claims tent, Paulk was told his car has $7,400 in damage but he must pay $1,000 because he will have two deductibles for the two claims. "So it's better than paying the whole thing, but it would be nice if it would only be one deductible," he said. Wylie policyholder John Robbins said the April 11 hail broke the rear window on his Nissan. "It's got lots of dents. The back speakers are ruined. It got water in the seats so it just smells terrible," Robbins said. The claims people said the Nissan should go to the salvage yard. From there it could someday wind up on the road again. "They could absolutely salvage it and sell it as a vehicle or they could scrap it, use the parts from it that are still intact," Pilcic said. "From there, once we sell it to the salvage vendor, it's up to them to decide what happens to the vehicle." Robbins said his Nissan might be a good car someday for someone else if it is completely repaired. "I think it just depends on the person. For me, value is great and so I would take something that didn't look so good or had a little bit of damage," Robbins said. Hail-damaged cars resold by the salvage yard may wind up in use again with a title branded as salvage. But a salvage company official said the rules for hail damage are complicated and the title may not be branded. It depends on the type of damage and repair required. Buyers should be cautious and ask questions about really low priced used cars in the near future after the flood of Texas hail damaged vehicles.